Logic Pro puts a complete recording and MIDI production studio on your Mac, with everything a pro musician needs to write, record, edit and mix like never before. Compose, record, edit, and mix great-sounding tracks. Get comfortable with the setup and workflow, and then learn how to record audio, MIDI, and virtual instruments. 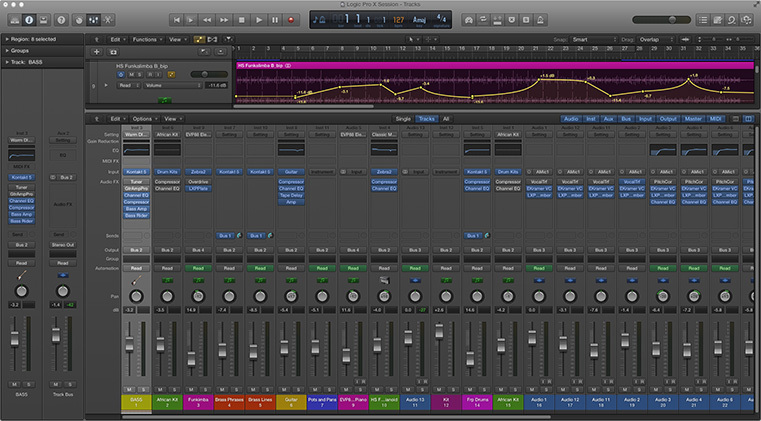 Use samples and Apple Loops, and adjust their time and pitch to suit the song. Learn about editing techniques for both audio and MIDI data.